Following on from my last post featuring Advanced Retinoid 2%, Niacinamide 10% + Zinc 1% and Alpha Arbutin 2% + HA that you can read here, today I am going to be talking about the brand’s first venture into facial oils and the gem simply know as “Buffet”. I think both of these are quite underrated and have been generally overlooked for the more “exciting” products, but both are brilliant and I can’t wait to tell you why, so let’s jump right in to it! I am a huge fan of facial oils and in particular, rose hip seed is one of my all time favourites. 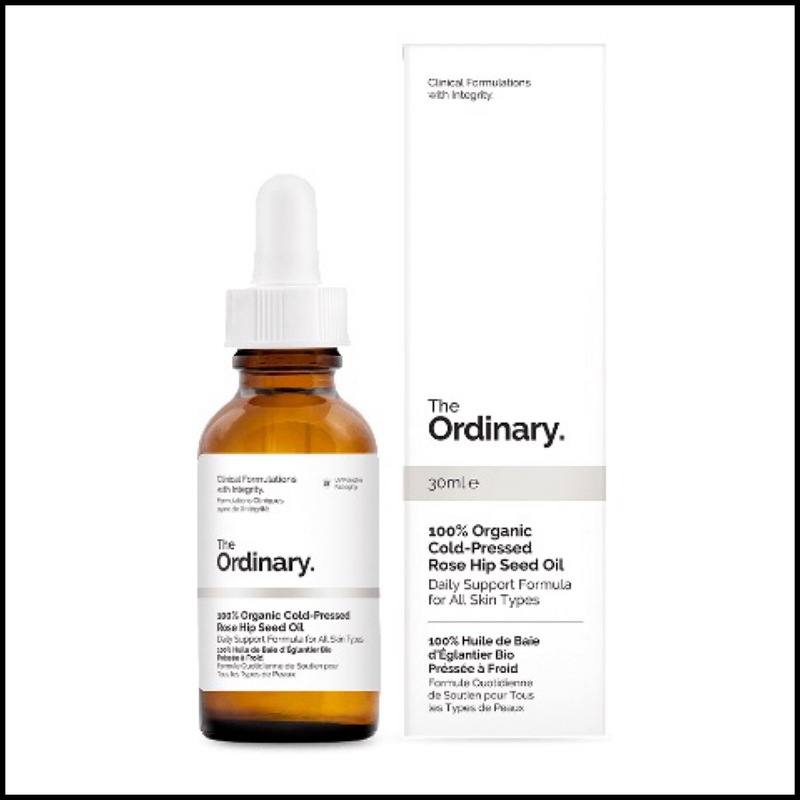 It is a gorgeous skin loving, hardworking ingredient and I’m so glad The Ordinary launched this one first (more are on the way). This lovely oil has been used in skincare for centuries due to how incredibly healing, regenerative and protective it is. It is packed full of antioxidants (vit C, lycopene, carotenoids), vitamins (A, B, D and E) and essential fatty acids (Omegas 3, 6, 9) that help reduce scars, fine lines and wrinkles, correct dark spots, sun damage and uneven skin tone, as well as tackling stretch marks. Not only this, because of the higher linoleic acid to oleic acid ratio (44.1% vs 13.9%), this is an excellent oil for those with acne prone skin because it will help soothe, heal and balance the dermis, which not all oils can actually do. It will also help with hydration, collagen production, elasticity and combat free radical damage. Clearly, not all oils are created equal and not all of them can do as much as this one. This oil has a beautiful, rich golden yellow colour and a delicate fruity scent that is not at all unpleasant, despite the (and I cannot stress this enough) incredibly mild (I mean it, so don’t be put off) resemblance to fish oil due to the high Omega content. It absorbs quickly and easily, so it’s considered a “dry” oil and feels lovely and light and most importantly, non-greasy. I take about 3-4 drops depending on how dry my skin is and apply it as my end step. I mostly use this at night, but you could easily use this during the day by mixing in a drop or two into your moisturizer or sunscreen. You could even add it to your body cream to make it more of a treatment product, and this is something I will definitely be doing from now on. I first fell in love with this ingredient when I discovered Pai’s RoseHip BioRenegerate Oil about three years ago and ever since then I always make sure it’s high on the list in at least one of my oil blends. I currently get my fix from my all time favourite oil Organic Skin by La Belle Lune, but having this on it’s own is so great because I can add it to other oils that don’t have it or mix it with my new found love of moisturizers. This would be well suited for all skin types because it’s an excellent anti-aging powerhouse oil, but also works really well for those with combo/oily/acne prone skin. I am going to make an effort to use this more often because it really is beautiful. 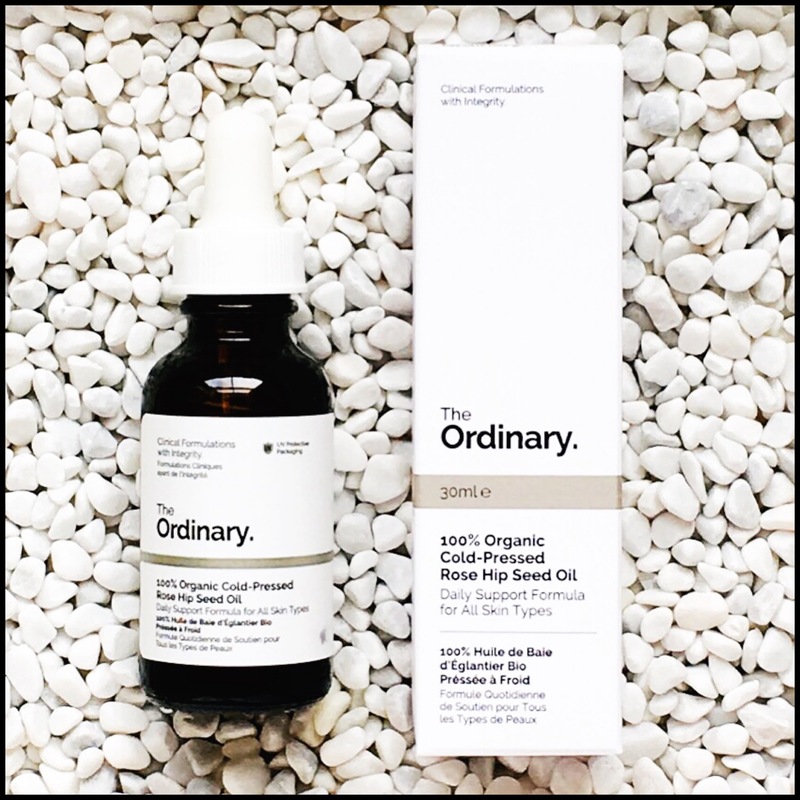 I’m excited to see what other oils The Ordinary launches next (Moroccan is coming soon) and would love to see them include ones like Prickly Pear, Kukui, Baobab, Monoi and so many others, but for now, if you’re looking for an uncomplicated, well priced yet still high performing oil then this is it. Side note: due to the delicate nature of this oil, it is suspectible to becoming rancid, so please make sure you keep it somewhere away from heat and light to stop it spoiling. The packaging is UV-protective, but I would even consider keeping it in the fridge if you live somewhere currently hot or humid. If it actually starts to smell like fish, then it’s gone off, so be careful with it. Ingredients: Aqua (Water), Glycerin, Lactococcus Ferment Lysate, Acetyl Hexapeptide-8, Pentapeptide-18, Palmitoyl Tripeptide-1, Palmitoyl Tripeptide-7, Palmitoyl Tripeptide-38, Dipeptide Diaminobutyroyl Benzylamide Diacetate, Acetylarginyltryptophyl Diphenylglycine, Sodium Hyaluronate Crosspolymer, Sodium Hyaluronate, Allantoin, Glycine, Alanine, Serine, Valine, Isoleucine, Proline, Threonine, Histidine, Phenylalanine, Arginine, Aspartic Acid, Trehalose, Fructose, Glucose, Maltose, Urea, Sodium PCA, PCA, Sodium Lactate, Citric Acid, Hydroxypropyl Cyclodextrin, Sodium Chloride, Sodium Hydroxide, Butylene Glycol, Pentylene Glycol, Acacia Senegal Gum, Xanthan Gum, Carbomer, Polysorbate 20, PPG-26-Buteth-26, PEG-40 Hydrogenated Castor Oil, Trisodium Ethylenediamine Disuccinate, Ethoxydiglycol, Sodium Benzoate, Caprylyl Glycol, Ethylhexylglycerin, Phenoxyethanol, Chlorphenesin. 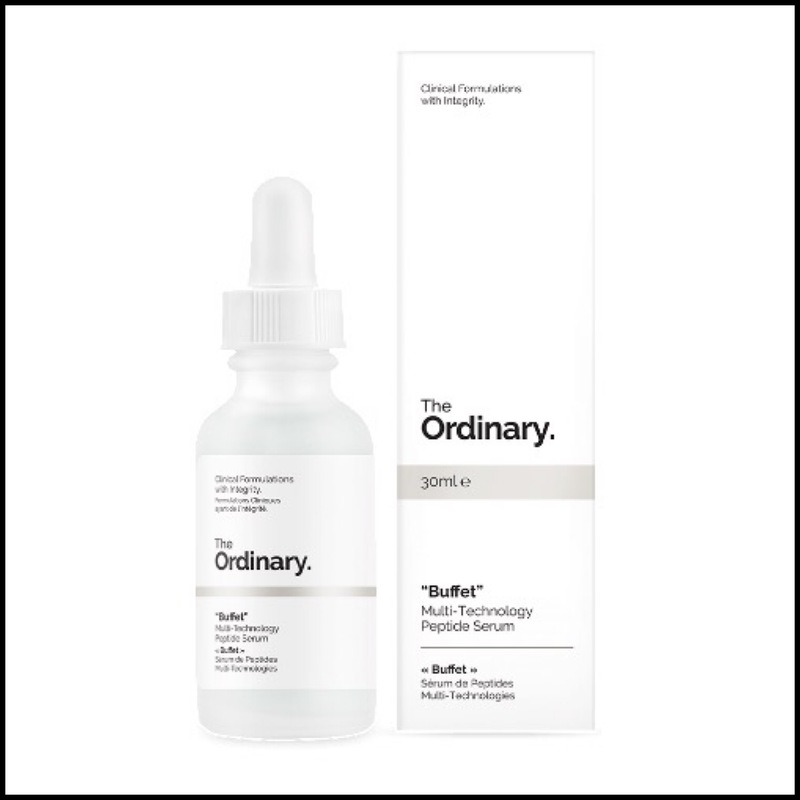 When The Ordinary first announced their lineup, this was the one I was most intrigued about due to the quirky name. Simply dubbed “Buffet”, this peptide rich serum got it’s moniker in protest to the brands that refer “to their expensive products offering combinations of these technologies as a “buffet”, distastefully comparing such products to buffets that offer various kinds of food in one sitting”. Ouch! Despite the playful name, this is a brilliant serum and I was not expecting to like it as much as I do. It contains a mix of anti-aging peptides, 11 amino acids, multiple hyaluronic acids and a lactococcus lactis lysate probiotic complex, which is why it’s the most expensive product in the range. This is an anti-aging cocktail (maybe that should have been the name?) that will address fine lines and wrinkles, boost collagen, repair, firm and smooth for plumped up, perky skin. This is very similar to N+Z and AA+HA in texture and consistency, but is slightly thinner and less sticky. It is somewhat cloudy and has a light watery-gel texture that feels cool when you apply it and absorbs quickly and easily, leaving behind no residue. This can be used morning or night and would work best either right after toning or after your watery serums and followed by thicker (gel/cream/oil) serums. You only need a drop or two because it’s extremely fluid and spreads easily, plus if you use too much it might ball up and roll off. When I use this during the day I cleanse, tone, (or SDSM and CAIS then tone), use this, maybe another serum depending on my skin and then finish with my moisturizer, balm or sunscreen. When I use it in the evenings (which is now my preferred method) I use it on Retinoid nights and apply it after that. I love these two together and think they are such a results driven yet inexpensive anti-aging duo. I am by no means in the anti-aging bracket yet, but I love this anyway. It is definitely more for those with mature or dry/dehydrated skin and I think it would be a great way to add an active yet light layer of hydration for the upcoming colder months. I also like to think this is working as a preventative treatment and I’ve really enjoyed it so far. 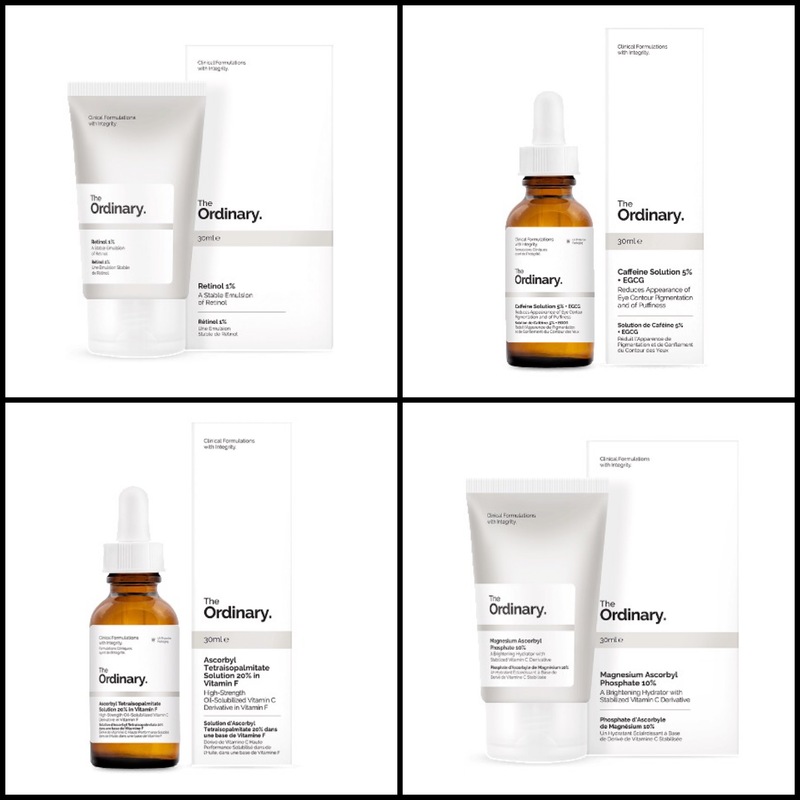 The Ordinary are just getting started and coming soon is a whole bunch of new products that I am so excited about. Below is four that are at the top of my list starting with the Azelaic Acid Suspension 10%. I have wanted to incorporate azelaic acid in to my routines for years now, but struggled to find it in a product that worked for me due to other acids included that I can’t use (lactic acid) or the percent being too low to really see any results. I really can’t wait for this one! Next, I am so ready for the Caffeine Solution 5% + EGCG to launch since ‘tired’ is my new middle name, my eyes really need some perking up and this is supposed to work on eye contour pigmentation and puffiness. The last two are very different Vitamin C products and despite my not so good track record with that ingredient, I really want to use it because I know so many people (including my mum) who have seen great results with it. Ascorbyl Tetraisopalmitate Solution 20% in Vitamin F is a high potency light oil and Magnesium Ascorbyl Phosphate 10% is skin brightening cream emulsion that is on the gentler side, and I looking forward to testing both. Not only that, after falling hard for the Retinoid serum I cannot wait for the launch of Retinol 1% and think it will be interesting to compare the results. These should be available over the next few weeks and you can pre-order them here. I also love the packaging update for some of the products and am glad to see the brand taking the customer feedback on board. 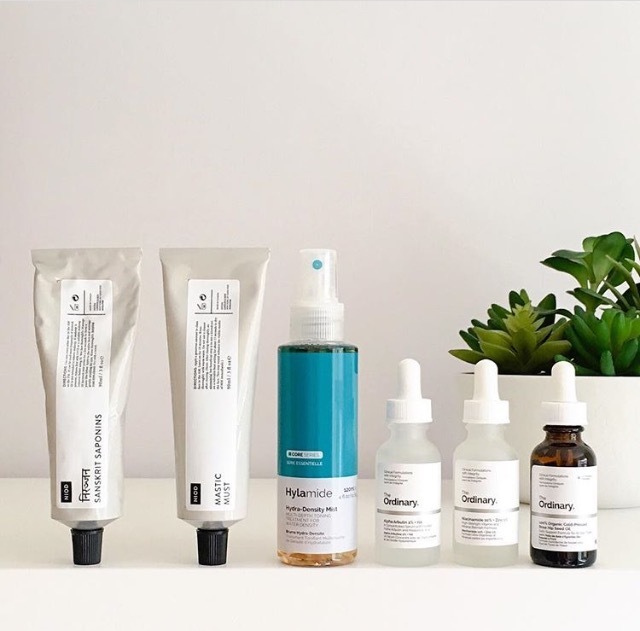 Whether you love or hate Deciem, love or hate this new line, there’s no denying that this is a good thing for the mainstream beauty industry. For far too long many brands have preyed on our insecurities and desperation, abused our trust and basically ripped us off, and The Ordinary is working to change that. This may be “bare bones” beauty, but at least it’s honest and inclusive. Effective doesn’t have to mean expensive anymore and we no longer have to be at the mercy of brands that need to charge premium prices to cover the cost of lovely but pointless luxe packaging, a celebrity spokesperson or huge ad campaigns. 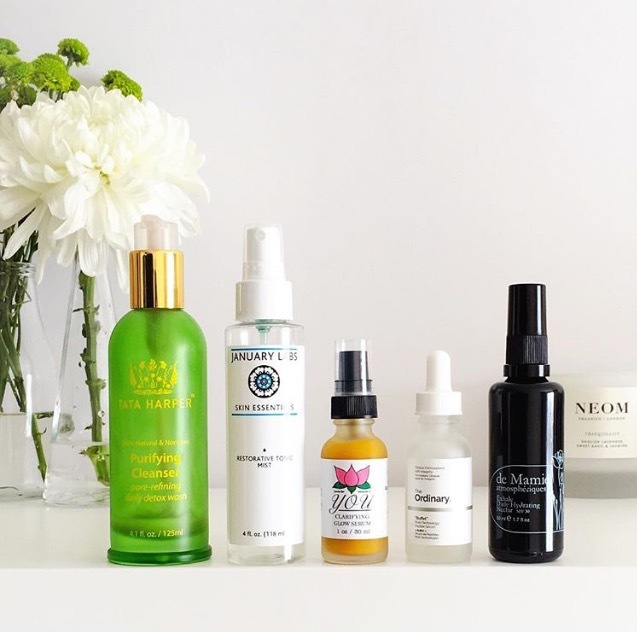 Yes, the line is lacking in “luxury”, but I don’t need these products to be that as nearly every other product in my stash (cleansers, toners, oils, balms, masks etc etc) is lush enough for me. 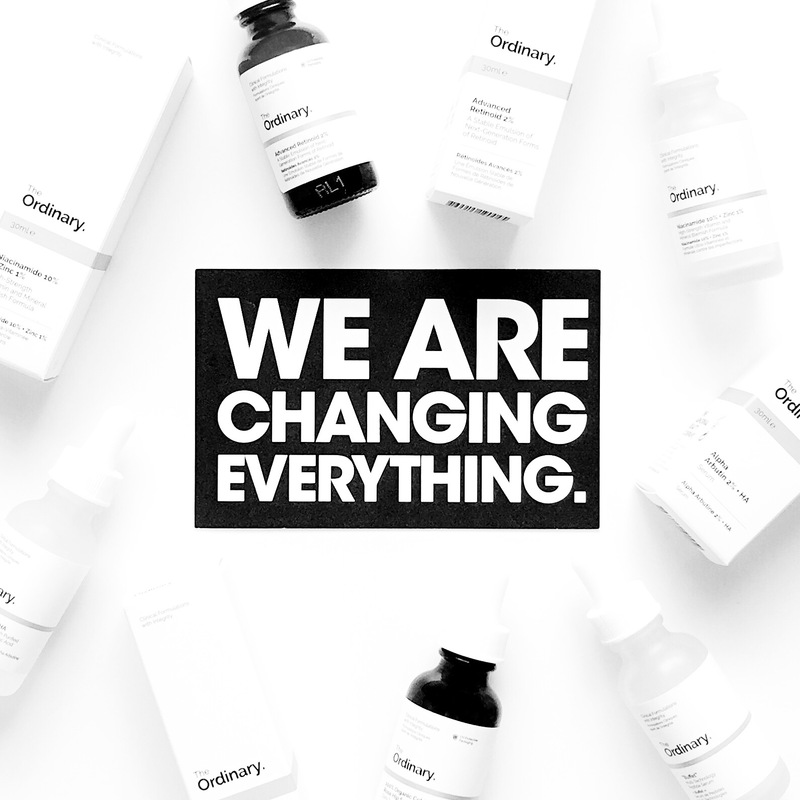 What The Ordinary is giving us instead is modern skincare that has the potential to work wonders at prices that anyone can afford and that is revolutionary. Overall I couldn’t be happier with the five products I’ve got from the range. They have all worked really well for me and even though they haven’t and won’t work for everyone, I’m so happy at the incredible press the brand has already received. Everyone from India Knight, Vogue, New Beauty and Wayne Goss to The Times, The Telegraph and just yesterday, Sali Hughes in The Guardian are declaring this a beauty revolution and it really is. Despite the now corrected initial issues with quality control (inconsistent volume) and not being able to keep up with demand (hundreds of thousands have been sold in two months and that was not expected), The Ordinary are doing big things and this is just the beginning. I for one love The ORDINARY, I can’t stress enough how this range is going to be a game changer for a lot of individuals skincare regimes. I haven’t tried all the products but the one I have l tried are delivering results. There is nothing in your line up Inwould use myself great picks and yeah to the ordinary. Great review as usual happy new month dear. I am so excited for this brand. I love trying skincare products but I hate to pay $50 every time I try a new product. I am excited to try the Magnesium Ascorbyl Phosphate Solution 10% and the Azelaic Acid Suspension 10%! Fabulous review and I love your blog! Great review!! Have you since tried out the Azelaic Acid ? Currently trying it out. I love the serums, retinol and lactic acid, but ‘fraid I don’t rate the Azelaic too highly. But this might just be me! Wow, I loved your post Arly! I made a purchase recently of 4 products of The ordinary, I have not yet arrived but I do not see the time to start using them. The products are Hyaluronic Acid 2% + B5, Organic Rose Hip Seed Oil, Salicylic Acid 2% Solution and AHA 30% + BHA 2% Peeling Solution. I hope to have good results! Thanks for your informative reviews. I am so excited to try out The Ordinary products, but just couldn’t decide which products to get. Would you say Cold-Pressed Rose Hip Seed Oil has the same effect as AA+HA for fading acne scars and dark spots? and which products would you recommend to try first? Buffet, Cold-Pressed Rose Hip Seed Oil, AA+HA, N+Z and Ascorbyl Glucoside Solution 12%? Thanks!